Weber Automotive has partnered with Virteom to talk about the meaning of Honest and Fair Auto Repair through video. At Weber Automotive, we aim to be the best in the business. These videos help us inform our customers along with residents of North Olmsted and surrounding areas about their cars and vehicles. Bryan, the owner of Weber Automotive sits with Jacqui to discuss tires for your car - balance and quality. 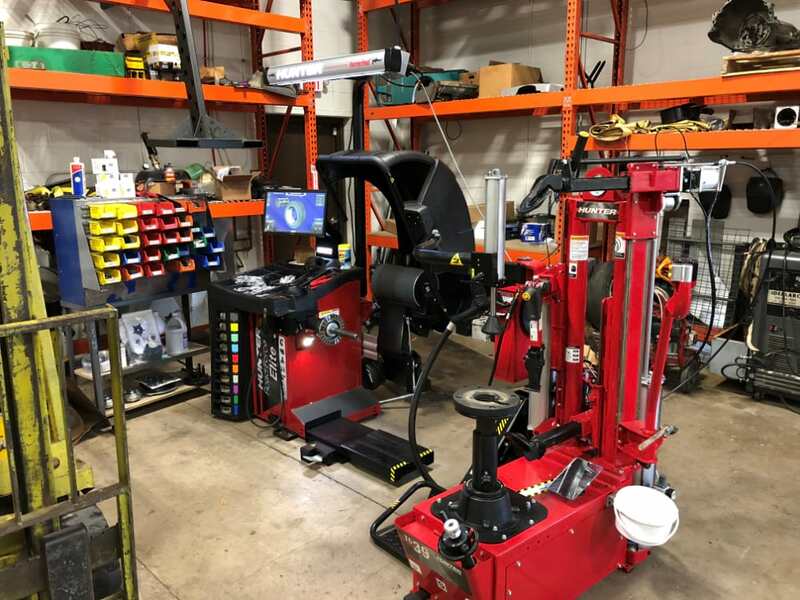 Weber picked up a new machine, made by Hunter, and it's a wheel balancer that has a road force simulator on it. There's a spinning wheel that rapidly spins the tire to be balanced and while it's spinning it has 1200 pounds of pressure against it simulating the road force against the tires. So instead of just spinning and balancing it also simulates the road force. What that amounts to is that there an incredibly accurate balance. So the car just rolls on the road super, super smooth. It's the latest technology, the fifth generation of that type of balancing machine. Weber also picked up a matching tire changer. For the newer, lower profile, performance run, flat type tires it is really a fantastic machine. Everything that contacts the wheel is plastic so you can't possibly scratch a wheel. It makes it a lot easier for us to change it, so the service is quick and efficient. It makes a real difference because you might have those wheels on the car for 30, 40, 50, 60 thousand miles or longer. You kind of get used to it, but as soon as it's smooth - every day is like driving a new car, that's the feeling you get. Weber carries tires and wheels on site. They offer great deals on tires, no gimmicks and no upselling. We only carry quality tires, we don't like to do cheap, price-type, inferior type tires because we know you're going to be unhappy for 30-40 thousand miles with the way the car drives. The car's tires make a huge difference in the way the car drives. Weber primarily deals in General and Continental Tires, but we we can get all makes and brands. If you have particular tire that you want, we can do that. Free road hazard comes with the General and Continental Brands. Weber also has nationwide road hazard. The equipment offered allows Weber to do a really good job. We're the only independent tire facility or repair facility in the city that has a tire machine is like that. 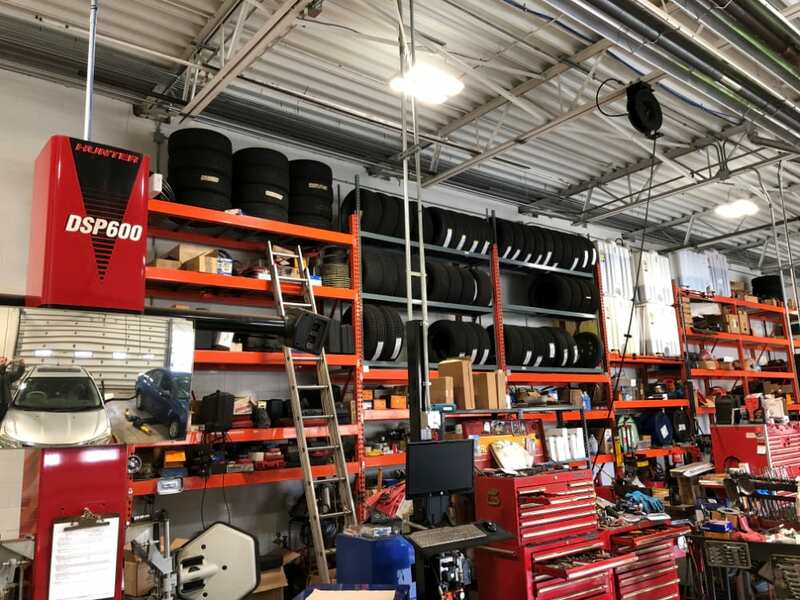 If you live in North Olmsted, Olmsted Falls, Westlake, Fairview Park, or North Ridgeville and are looking for quality tires and service - visit Weber Automotive. We offer quality tires and the latest technology in tire rotation and balancing. Click Here to schedule your service or Contact Us today.